Theoretically the F1 engine spec is set in stone until 2020. Yet the debate about what happens then has started early. The sport's brave new world put in place at the turn of the year coincided with a starting gun being fired for wrangling over whither, and more to the point whether, the current hybrid power units. The resultant conundrum brings us quickly to a core debate. Does F1's technology not matter much so long as the racing is good? Or should F1, to coin the phrase, also be about 'improving the breed'? In other words, should it provide a test bed for road car manufacturers, as it virtually always has at least to some extent? If it is the latter, then as things stand the disconnect is becoming clear. As the redoubtable Dieter Rencken observed when visiting last year's Geneva International Motor Show, while F1 references were thin on the ground any number of manufacturers were at pains to flaunt their connection with the new-ish all-electric motorsport category, Formula E.
They're voting with their feet too. "In 2016/7, the number of manufacturers represented on FE grids (Renault, DS, Audi, VW, NEXTEV, Mahindra, Jaguar, with Nissan possibly joining off the back of alliance partner Renault) could outnumber automotive brands currently in F1 by eight to five, if, that is, one views McLaren-Honda as two entities," noted Rencken. The consensus now is that the road industry is looking beyond the hybrid to go full electric. And the trouble for F1 in following this lead is that Formula E already is there (as indeed they are in plenty of other things the sport now is talking about moving in to, such as 'city events' and the like). And even if FE wasn't there already would F1 even want to go there, whispering vehicles and all? Maybe driverless cars by logical extension? The solution for plenty is glaring - F1 should give in on trying to please manufacturers, as that is now a blind alley. Instead a viable option is to please itself. 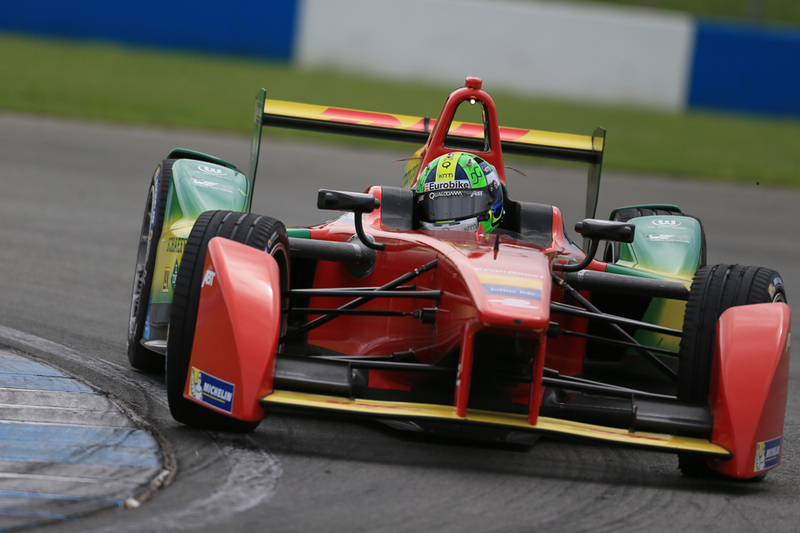 To what extent does Formula E show the way? "The road car industry's technology direction is soon about to snap itself away from anything that F1 - and indeed motor racing in general - can follow in any meaningful way," said Motorsport Magazine's Mark Hughes last year. "F1's future probably needs to be loud, lairy and normally-aspirated," Hughes continued. "Sure, stick some energy recovery on from the brakes to the battery, try to keep those torque levels up. But if it's no longer able to contribute, then let it be happy that it played its part contributing towards the common good and is now free to be itself once more." Peter Windsor has argued further that F1 should do something akin to GP2 (now F2) and have a single spec engine supplied perhaps by Ferrari. "My view is that any old engine will do so long as the racing's good - within reason of course, we don't want GP2 to be lapping within a second of Formula One obviously," he said late in 2015. "If GP2 was Formula One…let's say they were all running Ferrari engines instead of the engine they have, and all the teams were different colours, and we had all the stars in there, would the fans be that turned off by it all if the racing was unbelievably close? "There's still a big difference between DAMS and Trident [in GP2], the character of those teams is completely different." Yet there are at least a couple of problems with this. One is that manufacturers bring vast investment to the sport, which would be risked by such a move and is not to be written off lightly (though they still could 'badge' the spec engines). There also is that, as the FIA president Jean Todt noted, a much-advocated V8 (or V10 or V12) return "will not be accepted by society". Plenty scoffed at this when he said it, but Todt has a point. 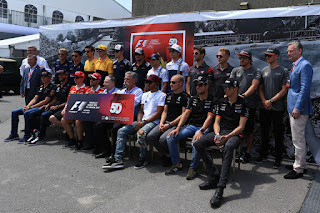 No man is an island entirely of itself; F1 cannot exist without the consent of the society around it. Todt instead advocated hydrogen units. 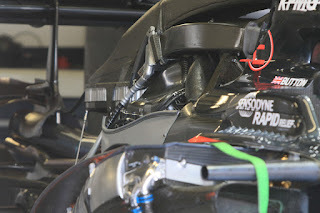 Yet as Rencken added more recently, "surprising is [F1's managing director of motorsports Ross] Brawn's belief that modern road car technologies such as fuel cells and electrification are 'not F1', for the question of 'what is F1?' has never been asked, nor, crucially, answered by those in charge of it." And there also is that things can change quickly, which F1 knows given it adopted the hybrid a few years back - it was confirmed in 2011 and debuted in 2014 - and that already looks obsolete. "Forty years ago turbochargers were similarly dismissed," Rencken went on, "yet within a few years every car manufacturer worth its performance salt offered a turbo road car, and F1 became all the better for its development role. Twenty years ago, notions that batteries, electric motors and energy recovery systems would form integral parts of F1 would have been sneered right out of the paddock. "Yet, contemporary F1 would not exist without those devices, for no self-respecting motor manufacturer would compete in F1 without some form of road relevance - leaving teams without engines, or, at best, struggling along on asthmatic Cosworth V8s. Research undertaken by Motorsport Network - Autosport's parent company - though, showed that fans have a desire for F1 to set the pace in terms of technology. "All this points to an identity crisis for F1"
For more reasons than one, F1 needs to tread carefully. F1 has always been about more than simple technology transfer, though. You can bet your arse engineering methods developed in the crucible of competition will make it elsewhere. The 'what is F1' thing isn't new, it's always gone its own way. The Lotus 49 had little relevance to anything on the road, an yet here we are. It's about engineering excellence, speed, fury, and competition.